US Secretary of State Mike Pompeo said Monday night that intelligence revealed by Israeli Prime Minister Benjamin Netanyahu earlier in the day is authentic and does show that Iran was pursuing a secret nuclear program in violation of international accords. 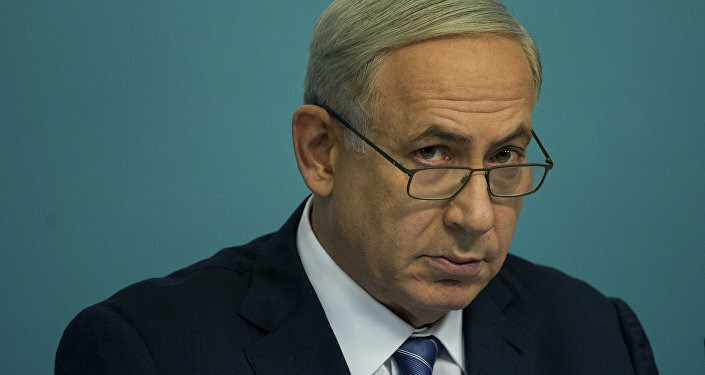 On Monday, Israel Prime Minister Benjamin Netanyahu in a televised speech said that Israel uncovered information on Iran's "Project Amad", which according to the prime minister proving Iran violated its commitment to maintaining a peaceful nuclear program. The US Secretary of State said that Tehran had continued to stockpile materials for "some purpose" and kept its documents relating to "Project Amad" "for a reason". Commenting on the "new" information — which many analysts maintain has already been known for years — Pompeo said that he was "still scratching the surface" of all the "thousands" of new documents that were revealed today. "I have personally reviewed many of the Iranian files. Our nonproliferation and intelligence officials have been analyzing tens of thousands of pages and translating them from Farsi. This analytical work will continue for many months. We assess that the documents we have reviewed are authentic. The documents show that Iran had a secret nuclear weapons program for years. Iran sought to develop nuclear weapons and missile delivery systems. Iran hid a vast atomic archive from the world and from the IAEA — until today," Pompeo said. The US will work to "fix" the Iran nuclear deal, Pompeo told reporters on his plane. Pompeo also intends to discuss with European partners the future of the Joint Comprehensive Plan of Action (JCPOA), also known as the Iran nuclear deal, in the light of Israel’s recent findings confirming that Tehran has been concealing its nuclear weapons program. "We are therefore assessing what the discovery of Iran’s secret nuclear files means for the future of the JCPOA… As the President’s May 12 deadline to fix the Iran deal approaches, I will be consulting with our European allies and other nations on the best way forward in light of what we now know about Iran’s past pursuit of nuclear weapons and its systematic deception of the world," Pompeo said in a statement. Earlier, the White House Press Secretary Sarah Sanders that the United States was carefully examining the information released by Israel, adding that the information provided "new and compelling" details about Tehran’s efforts to develop nuclear ballistic missiles.